The introductory paragraph you write is your first impression on the reader. Nearly all levels of academia require crafting organized and well-documented writing that often begins with an introductory paragraph and a thesis statement. Because these two elements set up the framework and purpose for the entire text, the introduction and thesis statement can be challenging to construct, but each is a necessary and fundamental building block on which the rest of the writing is built. The overall purpose of the introduction is to establish clearly the topic and intent of the paper. After reading the first paragraph, your reader should be able to identify what the paper will be about and how you plan to reveal more about the topic you’ve introduced. Quite often, the introduction will begin broadly and conclude with the more focused thesis statement. 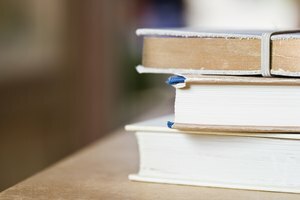 The introduction paragraph should begin with a technique that captures your reader’s attention; it should draw him in and cause him to want to continue reading. This can be accomplished using rhetorical questions, stating an interesting or controversial fact, sharing an anecdote or revealing a proverb or maxim related to the topic. Once you’ve hooked the reader’s attention, the paragraph's focus will begin to narrow down, revealing how you plan to organize the paper. The thesis statement is usually one sentence found at or near the end of the introductory paragraph. The thesis, or heart of the text, must be narrow enough that you can thoroughly discuss it within the constraints of the assignment, but not too narrow that you are unable to gather enough supporting information. After reading the introductory paragraph, the thesis statement should offer the reader insight into where the rest of the writing is going. 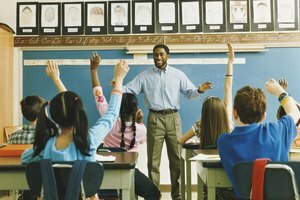 To construct a thesis statement begin with a broad question. For example, “Why is Harper Lee’s ‘To Kill a Mockingbird’ required reading in schools?” Follow up by answering the question with your own research and claim a position of your own. In this example you might construct the following thesis statement: "Harper Lee’s novel 'To Kill a Mockingbird' reveals the consequences and hardships of life in the segregated South, while also highlighting the goodness of justice and mercy primarily through the character of Atticus Finch." By providing an answer to the overarching question and specific direction to expound on, the statement now has a cohesive and narrow focus, making it a solid thesis. Using broad questions are effective for creating thesis statements, but you can also start by brainstorming key elements of the text. For example, if you're exploring the factors that delay Odysseus' journey home, you might begin with brainstorming potential reasons: Odysseus' character flaws, Odysseus' crew, fate and the gods. Focusing on Odysseus' crew and the experiences that highlight their flaws -- Aeolus' bag of winds, Lord Helios' cattle and the Lotus Eaters -- you might construct the following thesis statement: "In Homer’s 'The Odyssey,' Odysseus’ long, arduous journey home is affected by his crew’s character flaws, as demonstrated by their experiences with the Lotus Eaters, Lord Helios’ cattle and Aeolus’ Bag of Winds." This sentence provides both detail and focus, giving the reader an expectation for the remaining text. After the introductory paragraph has been drafted, reread it to make sure it brings the text together cohesively for you and the reader. This may include changing words, utilizing parallel structure, adding or subtracting information, or listing your main points in a different order. By drafting a preliminary introduction and thesis prior to writing but finalizing the paragraph after the paper has been written, you are more likely to produce a solid and cohesive text. Layfield, Emily. "How to Write an Introduction Paragraph With Thesis Statement." 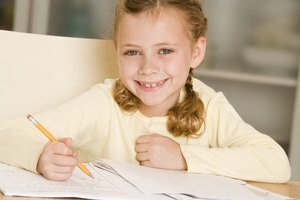 Synonym, https://classroom.synonym.com/write-introduction-paragraph-thesis-statement-32785.html. 26 September 2017.